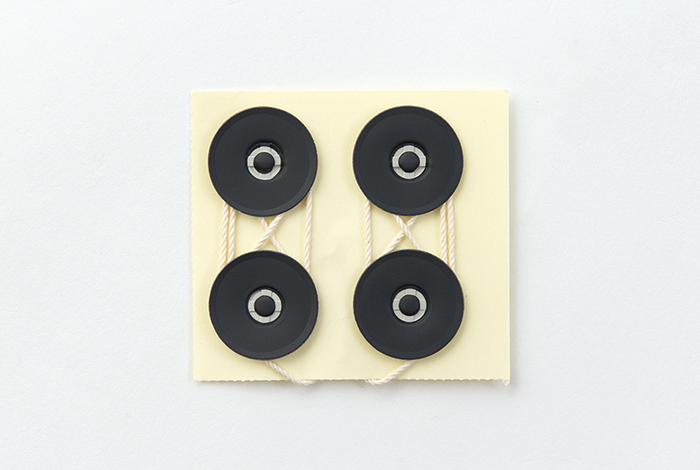 EYELETS & STRING STICKER with good old feeling. 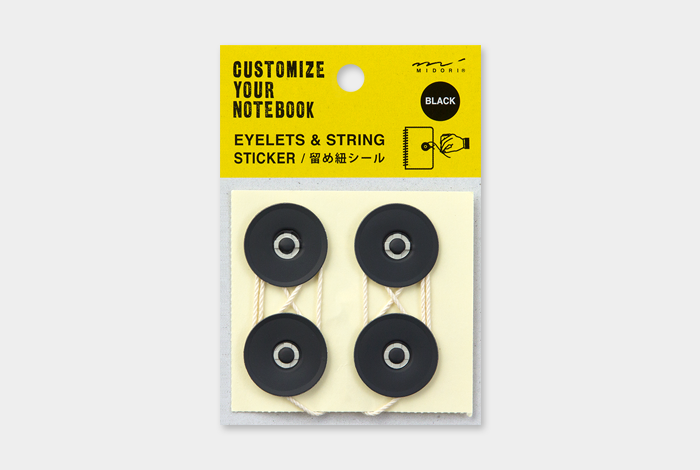 Sticking this sticker, you will have a useful string for closing notebook covers or holding envelopes and files. 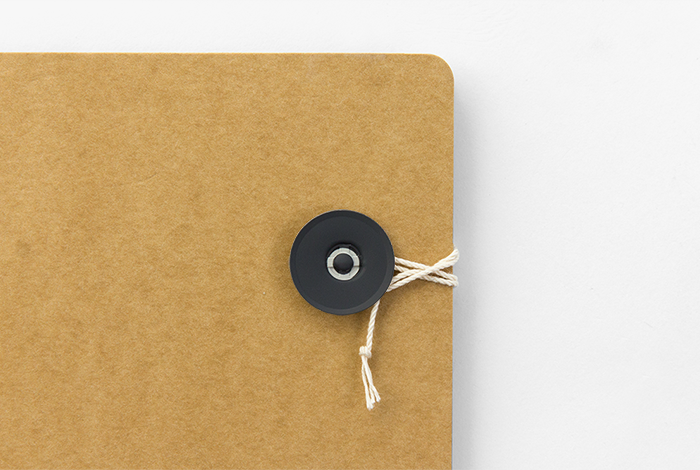 Unfasten the string. 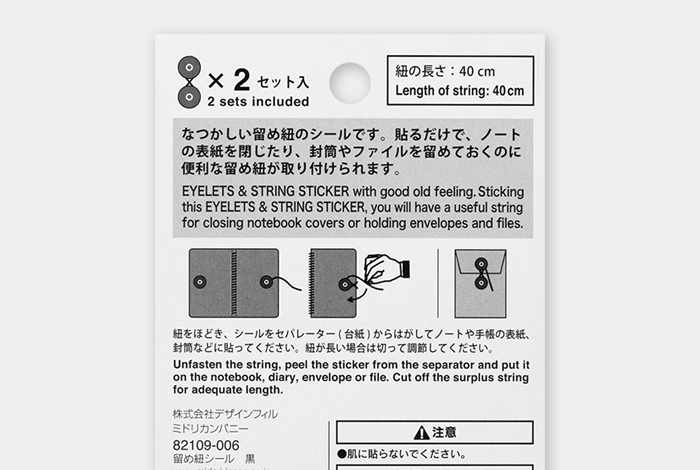 peel the sticker from the separator and put it on the notebook, diary, envelope or file. 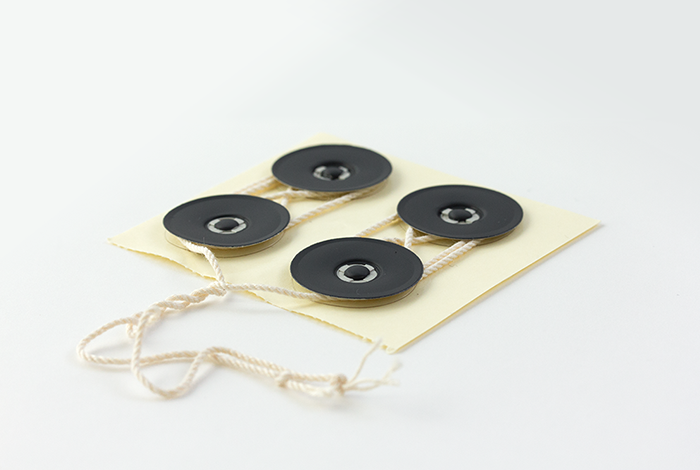 Cut off the surplus string for adequate length.